ACS Energy Lett., 2, 592–594, (2017). 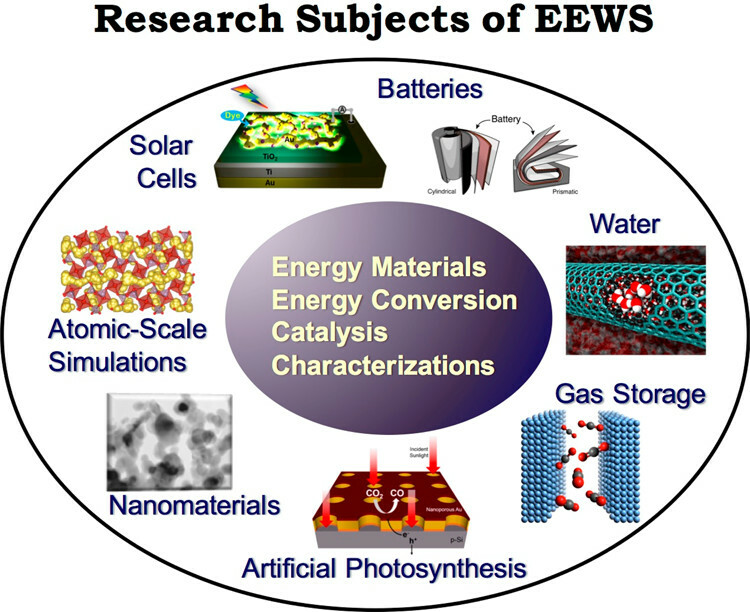 Established in 2009, the Graduate School of EEWS (Energy, Environment, Water, and Sustainability) at the Korea Advanced Institute of Science and Technology (KAIST) is the first of its kind, an interdisciplinary department at KAIST collectively addressing with interdisciplinary approaches for the emerging and urgent issues in energy, environment, water, and natural resources of the twenty-first century for sustainable society through science, technology, and education (http://eewseng.kaist.ac.kr). 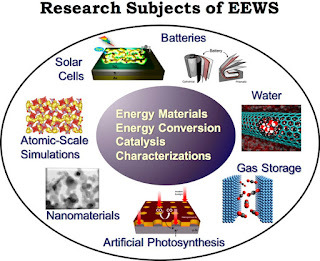 Currently housing 12 research groups with diverse backgrounds in chemistry; physics; chemical, electrical, mechanical, and environmental engineering; and materials science, the EEWS is the culmination of unprecedented collaboration under the same roof with close interaction of students and faculty from unlikely backgrounds (Figure). The output in a relatively short period of time is remarkable; the collaborative research combining basic and applied disciplines of seemingly different subjects have produced many novel concepts and approaches in various energy science and technology fields that are otherwise difficult to conceive in a traditional way. In an effort to critically assess the current status of the energy research, identify major challenges, and further stimulate active interactions among the disciplines to solve the challenges, we held the first EEWS forum, “EEWS 2016: Progress and Perspectives of Energy Science and Technology”, in the KI Fusion Hall of KAIST on October 20, 2016. The meeting featured eight internationally recognized energy experts from around the world introducing their cutting-edge research covering a wide range of topics in energy materials, advanced characterization tools, and catalysis, from both experimental and theoretical viewpoints.